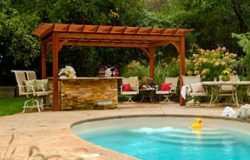 Gardening is an enjoyable hobby for both men and women who have a green thumb and want to keep their landscape looking beautiful. 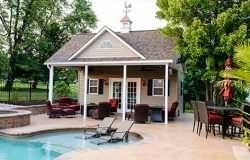 Many homeowners tend to their gardens in the spring and summer months by planting new flowers and shrubbery, laying mulch, treating and mowing the yard, and watering the plants and grass to keep everything green and plush. 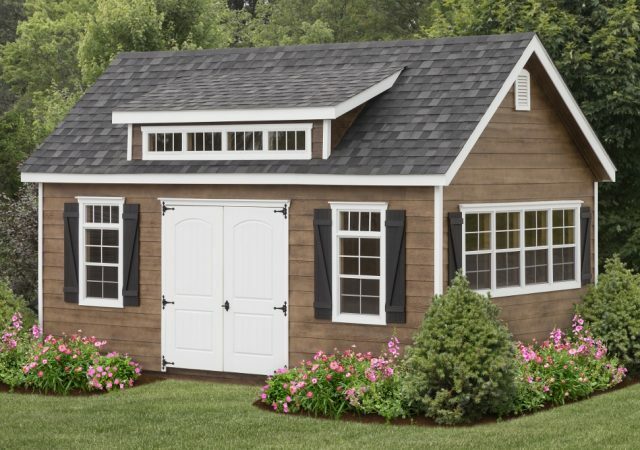 But where are you going to store all of your gardening supplies like the mower, bags of mulch and fertilizer, gardening hand tools, or your hose? 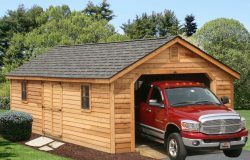 Are you still storing all of these tools in your garage, leaving you with no room to park your vehicle? 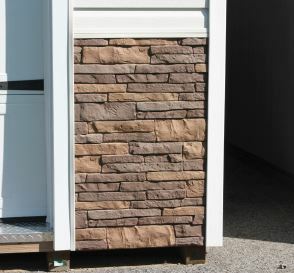 Tired of having to drag all the materials from storage? 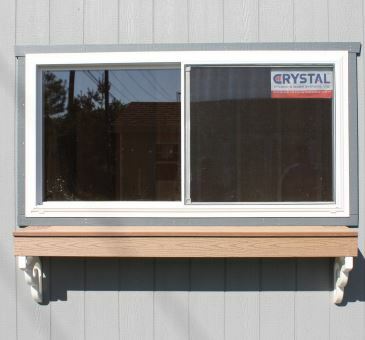 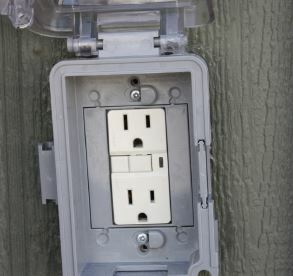 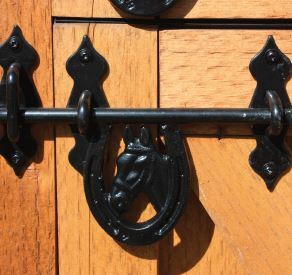 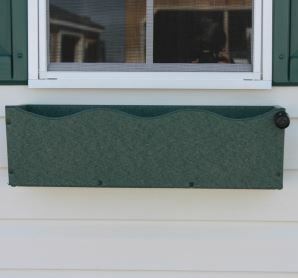 Need a place to keep all of your outdoor supplies safely? 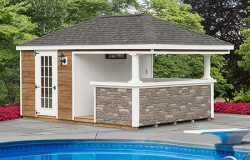 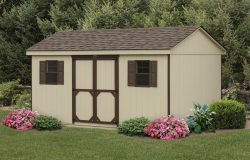 The perfect solution to all of these problems is an outdoor garden storage shed to store all of your gardening needs in one easily accessible location – right in your backyard. 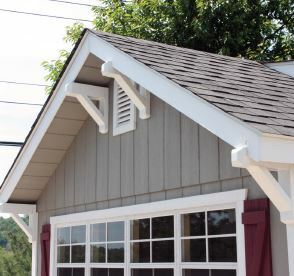 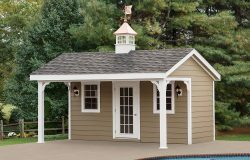 A-frame garden sheds from Stoltzfus Structures are available in a plethora of styles and sizes to fit everything you need comfortably within a beautiful structure that matches the style and look of your home. 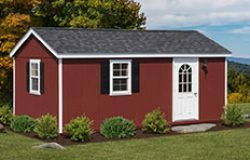 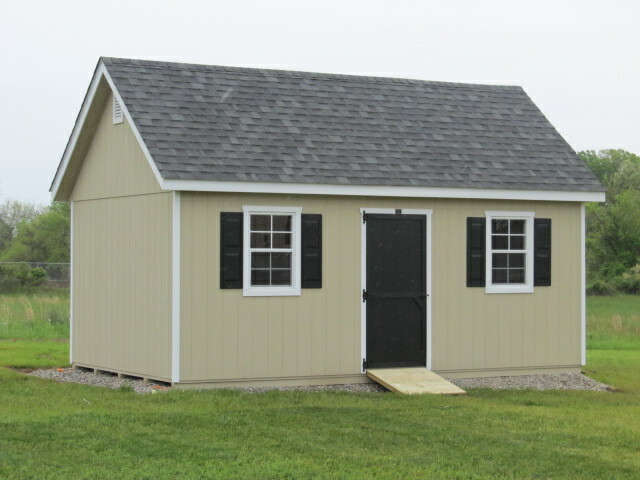 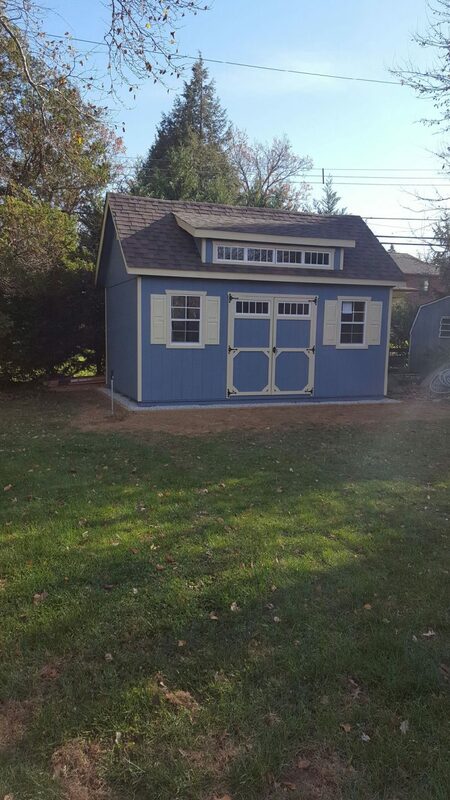 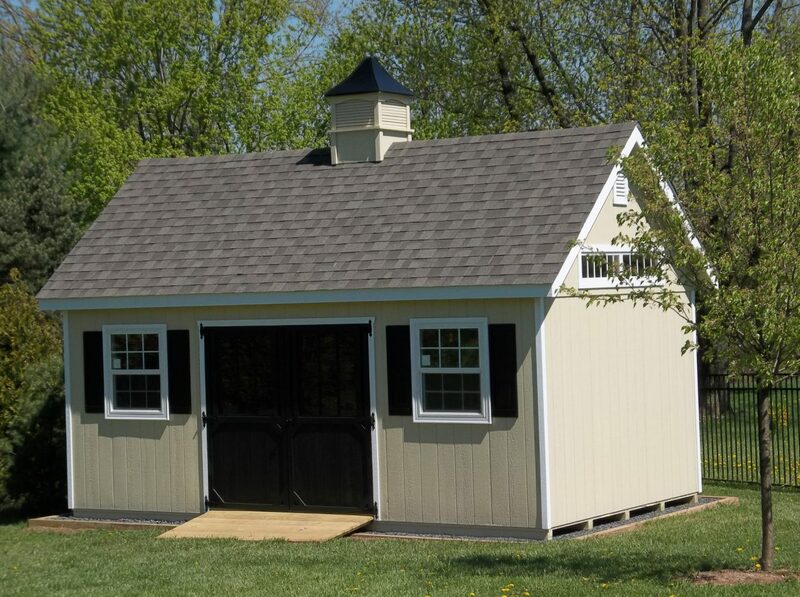 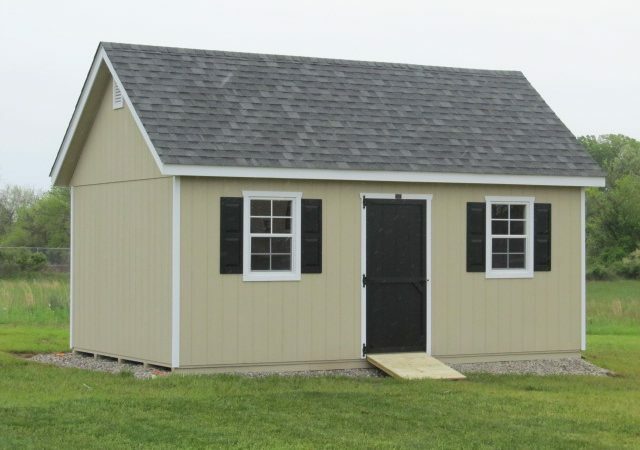 Add value to your property with the perfect customizable garden shed to meet all of your gardening supply needs! 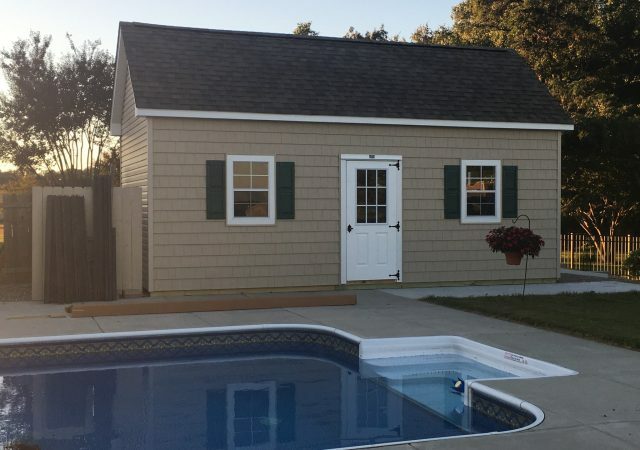 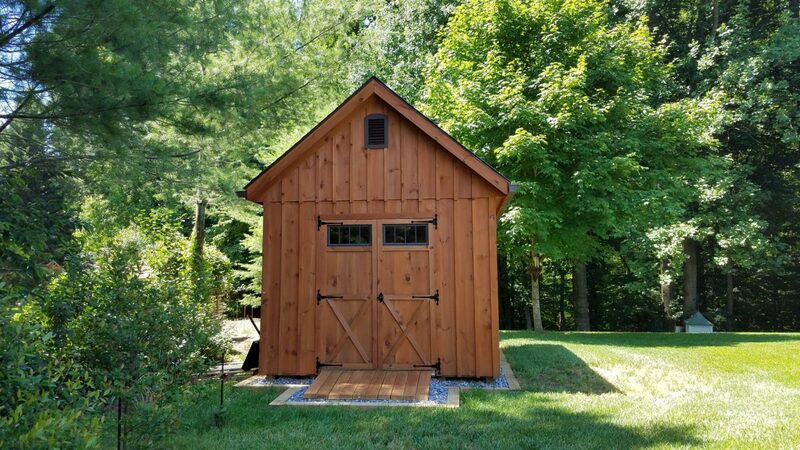 We understand that not everyone is going to require the same amenities as someone else; therefore, we provide our customers and potential customers with a handful of ways to make their garden shed truly their own. 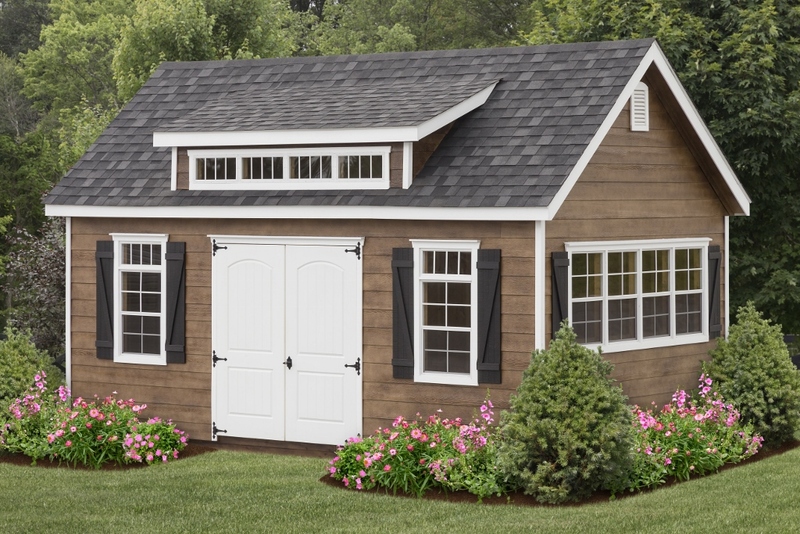 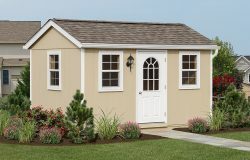 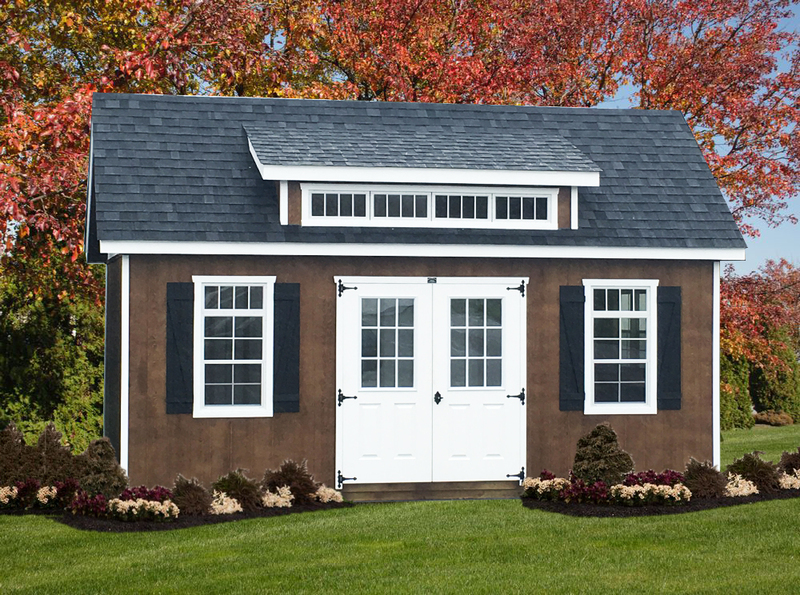 It’s the perfect way for you to have the garden shed that you’ve always been looking for. 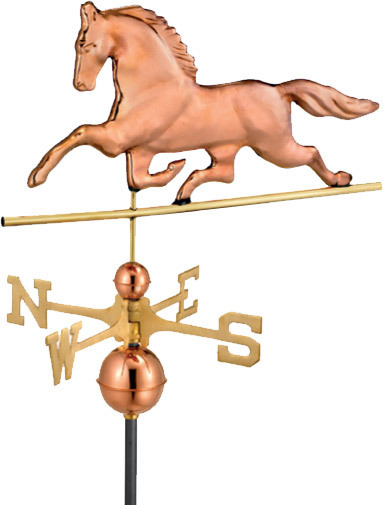 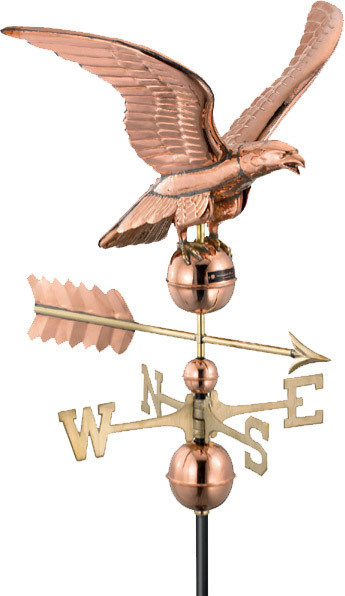 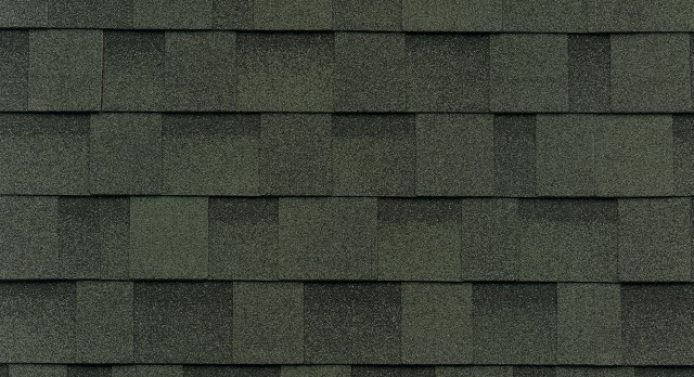 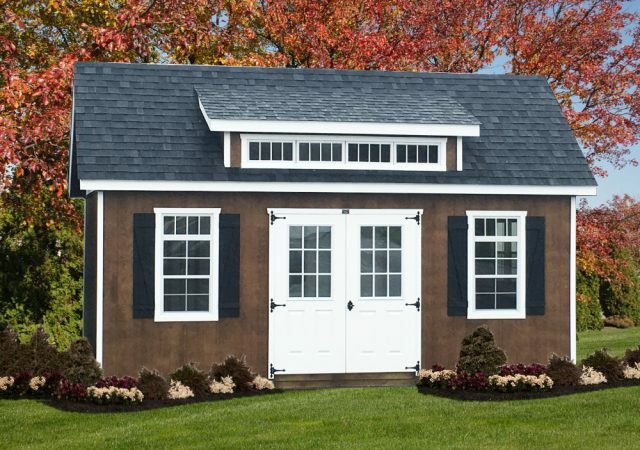 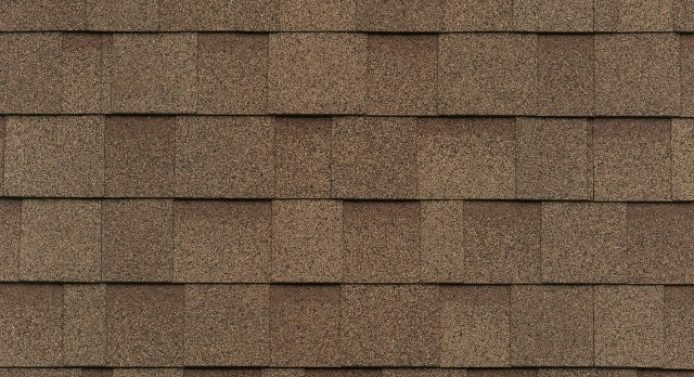 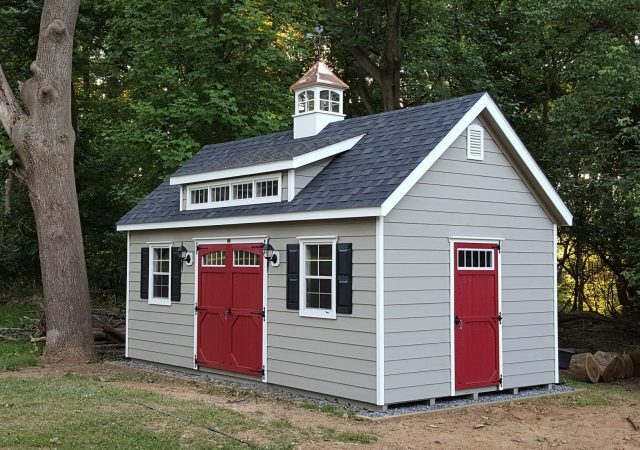 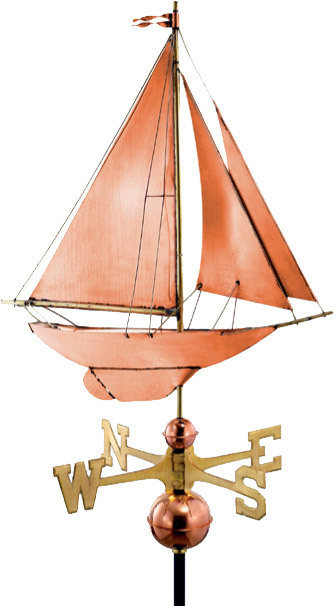 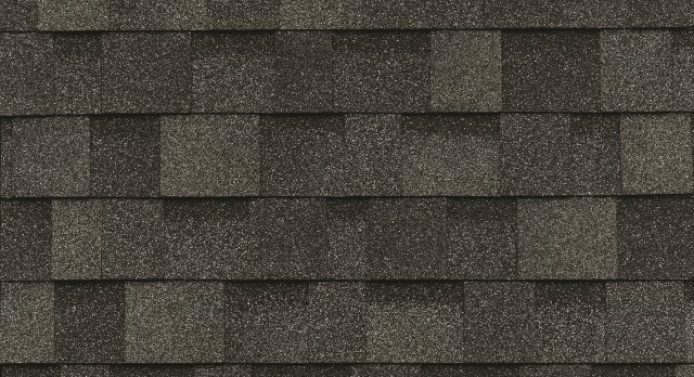 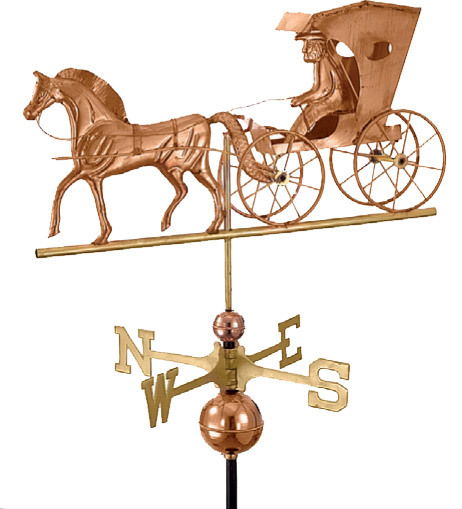 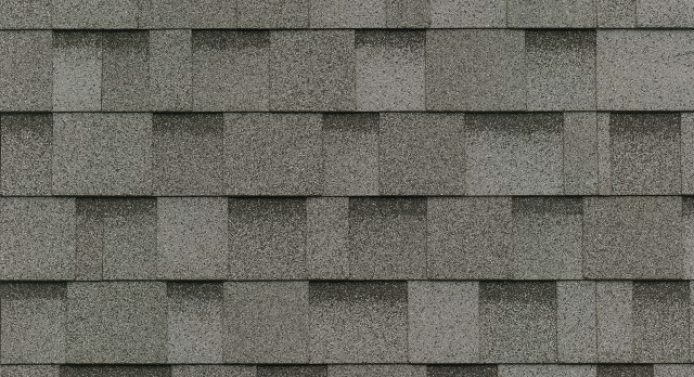 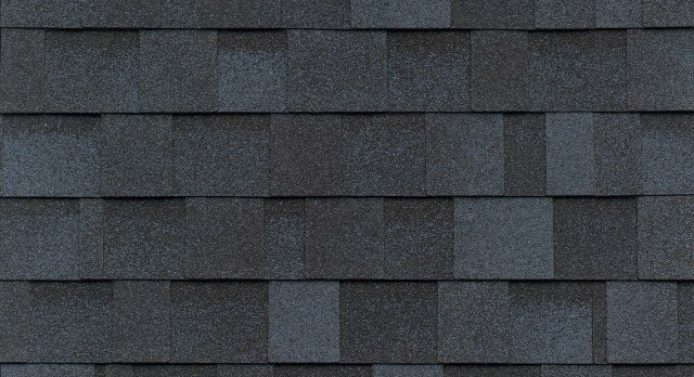 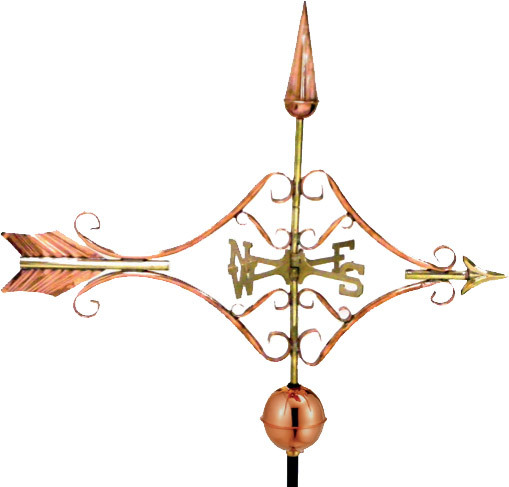 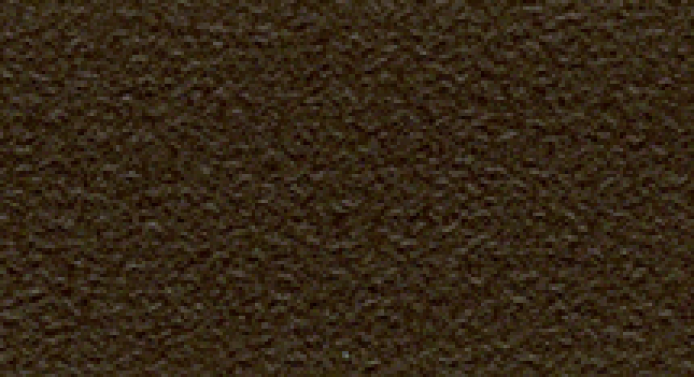 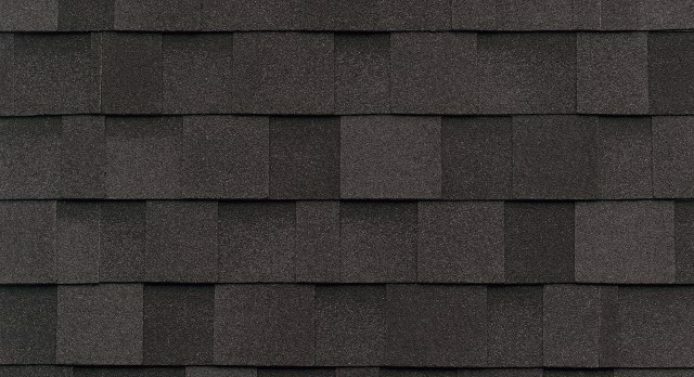 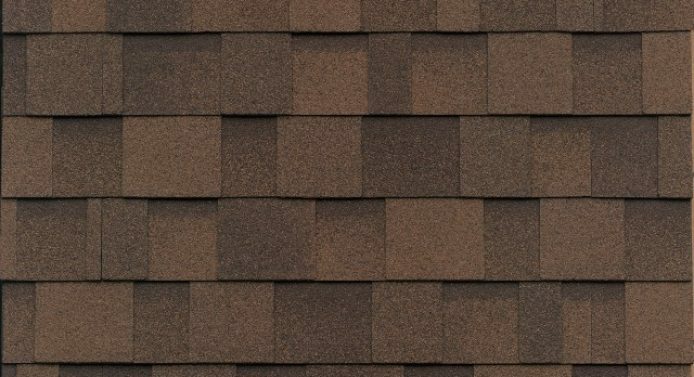 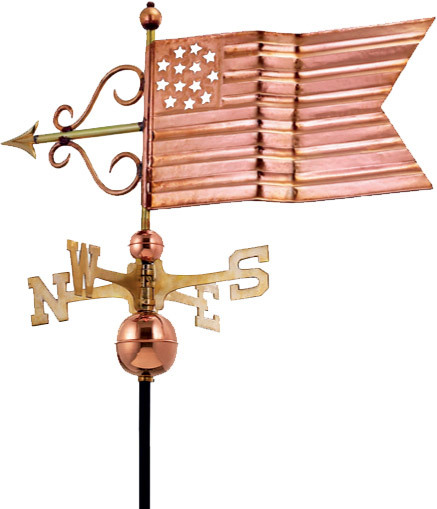 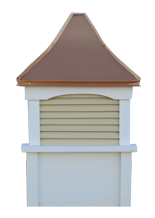 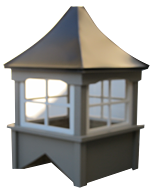 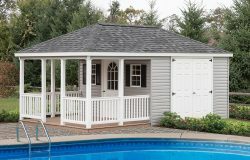 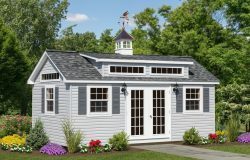 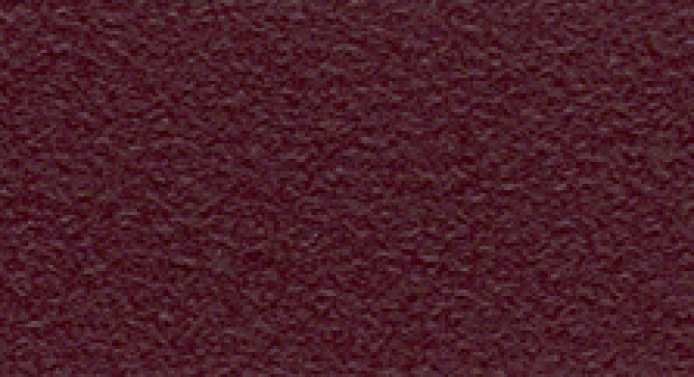 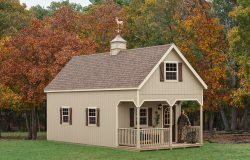 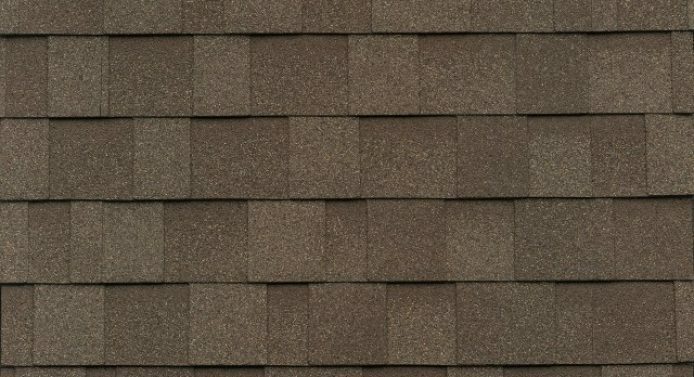 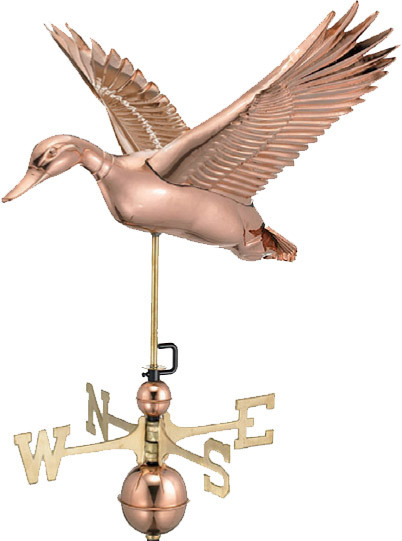 Choose from a wide variety of customizable items to make yours unique with the colored shingles and doors to match your property, or add a cupola or weather vane for an even more rustic touch. 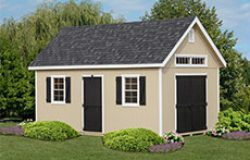 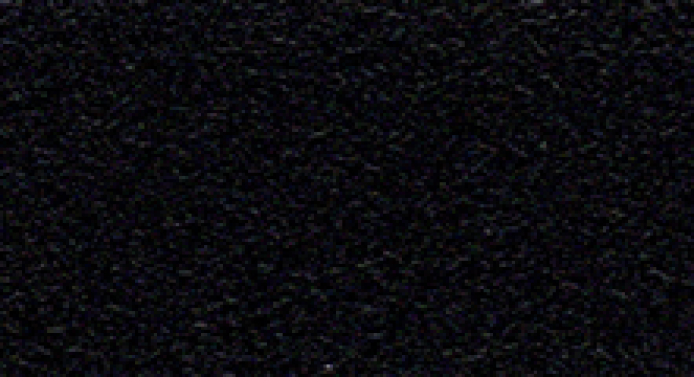 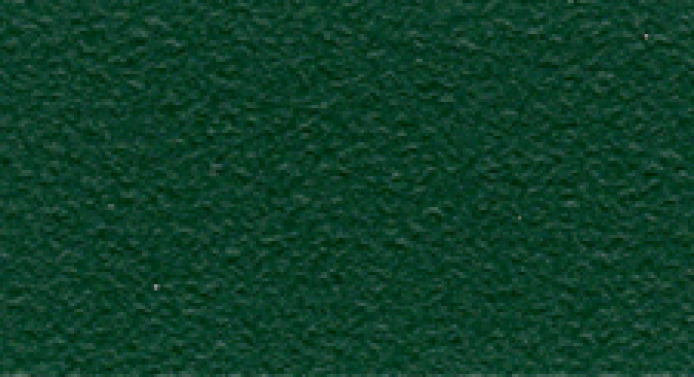 Request to have a workbench installed for other projects, and additional places to store all your gardening supplies. 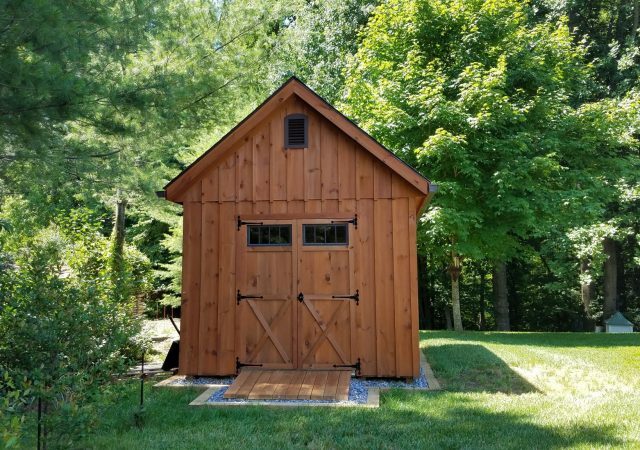 Each wood garden A-frame shed has a pair of double doors, which offers a large opening to help maneuver equipment in and out of the shed with ease. 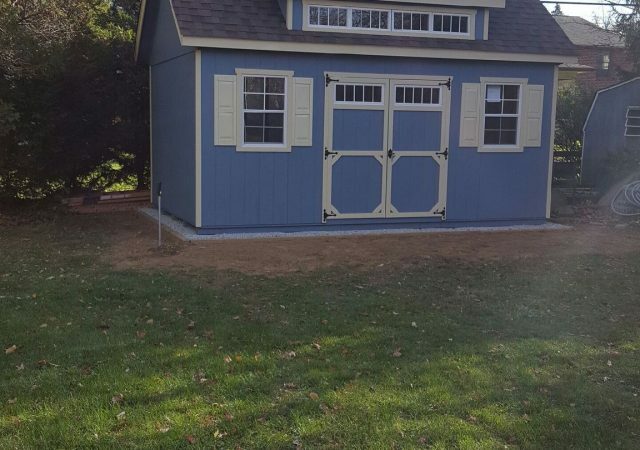 Do you live on a large property that requires more than one riding mower to cut the grass? 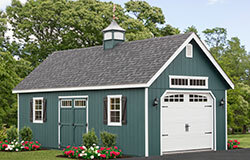 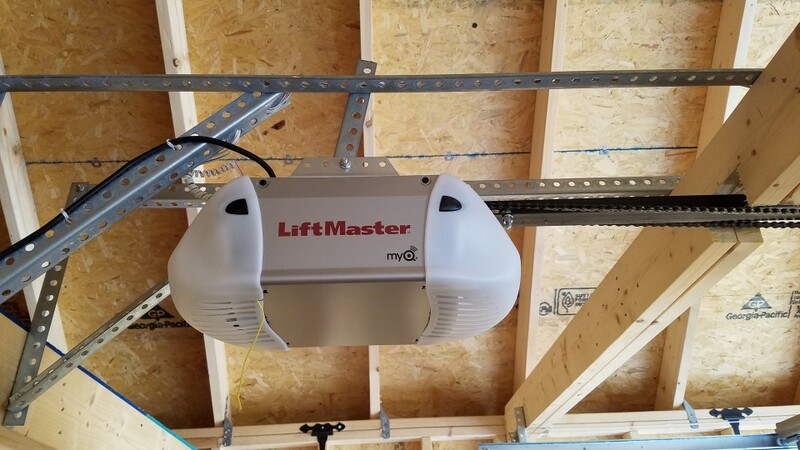 Want to safely store ATVs, an antique car, or other vehicles because there’s no longer room in the garage? 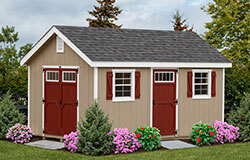 Our garden sheds elite collection is just what you need to store whatever you need! 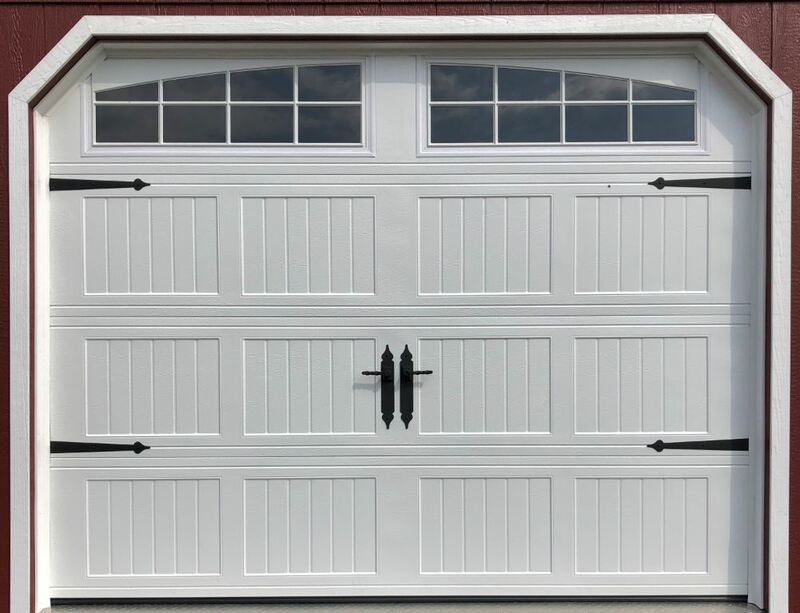 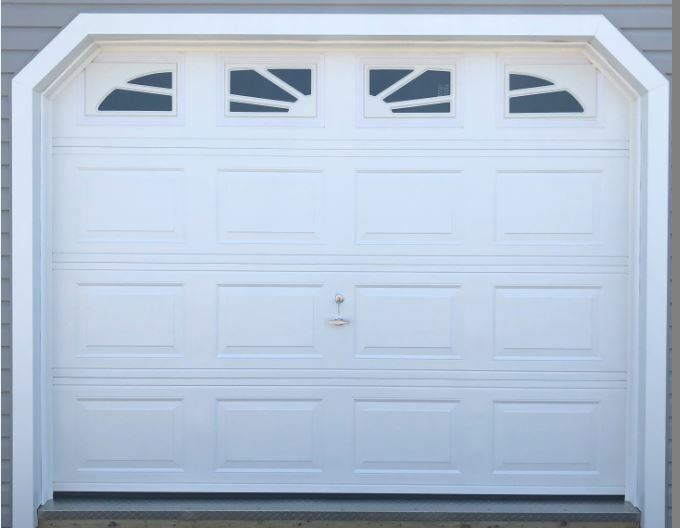 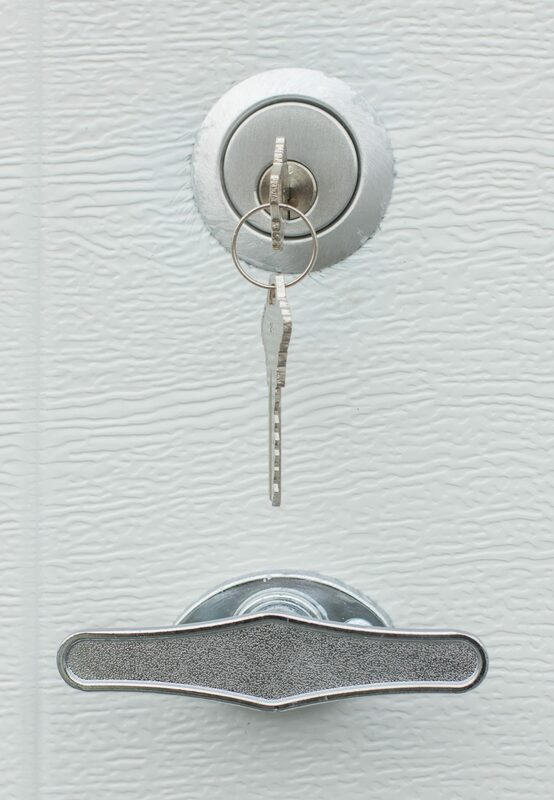 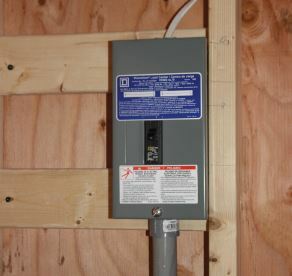 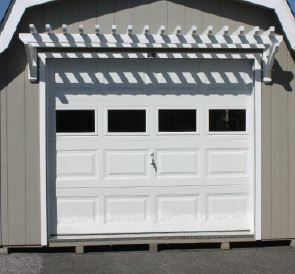 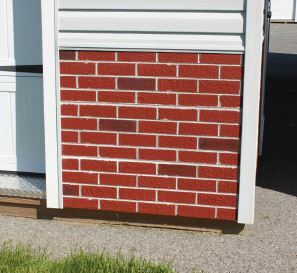 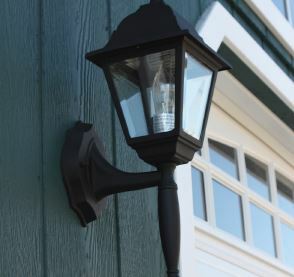 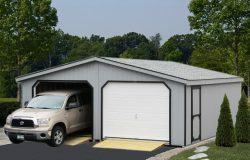 The garage-like door makes it easy to pull practically anything in or out without much effort, or the potential of damaging other items parked inside. 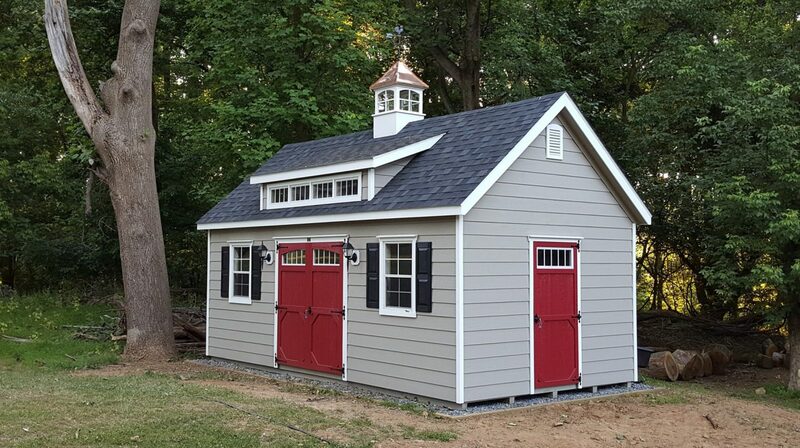 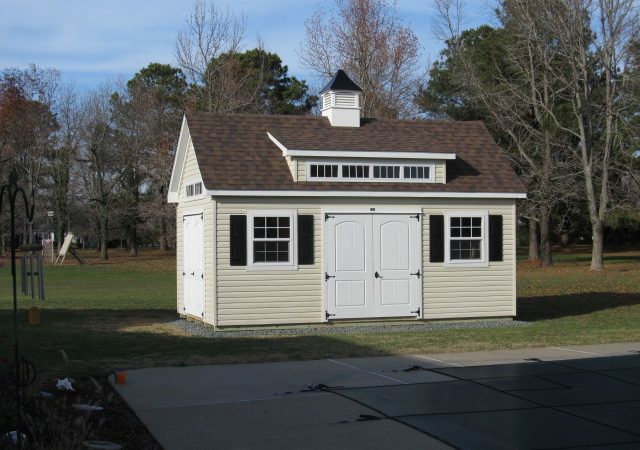 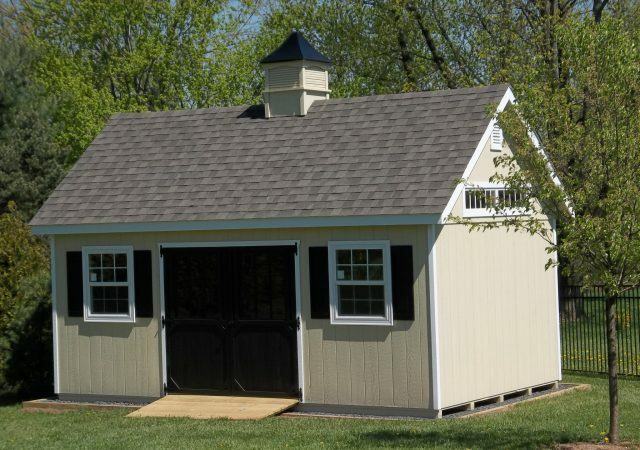 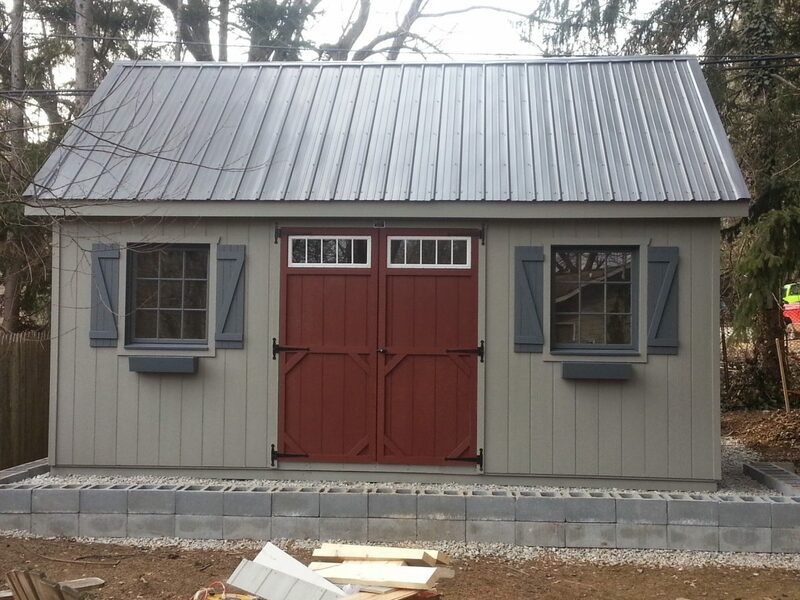 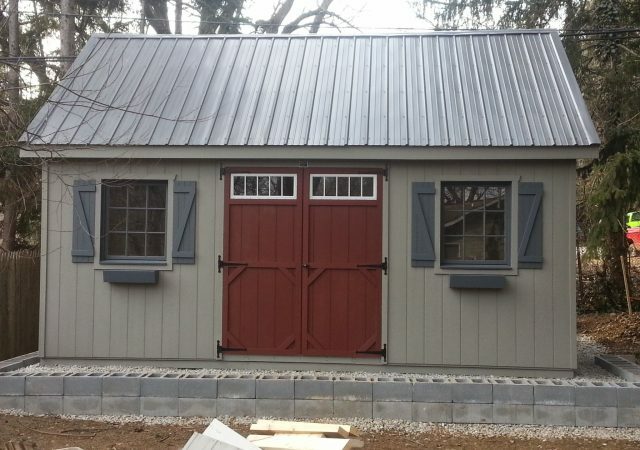 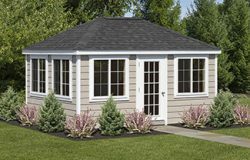 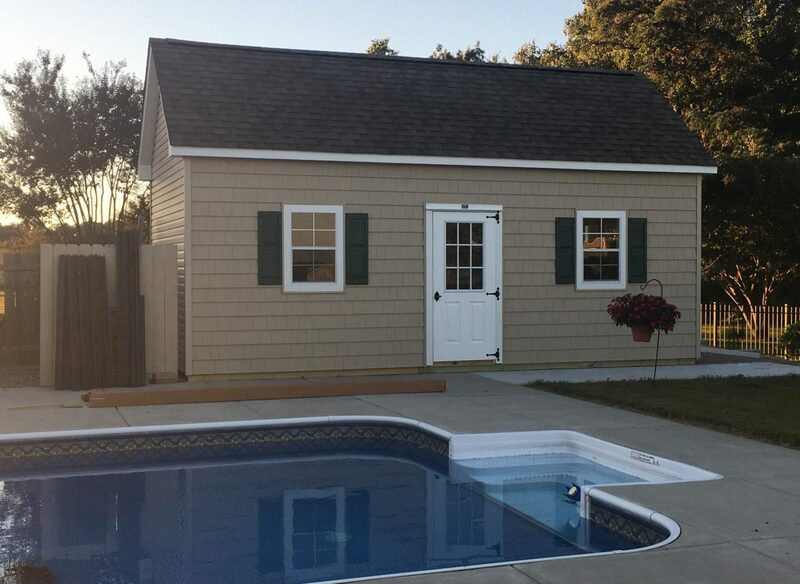 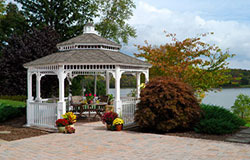 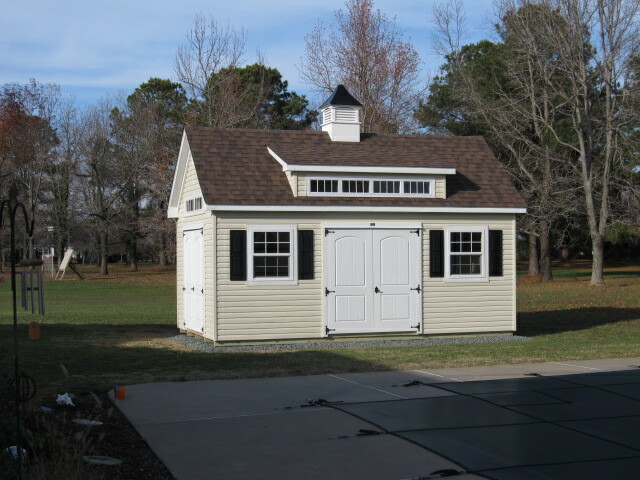 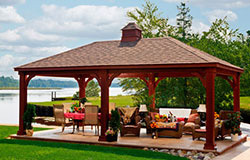 Just like the garden sheds, we also allow all of our customers to uniquely customize their structure in any way to fit their needs and blend perfectly with their property and landscape. 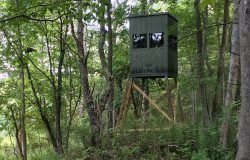 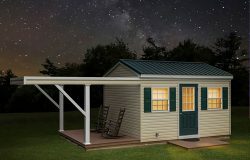 Review our A-frame shed options, visit our photo gallery, and order the garden shed or elite system for your home today! 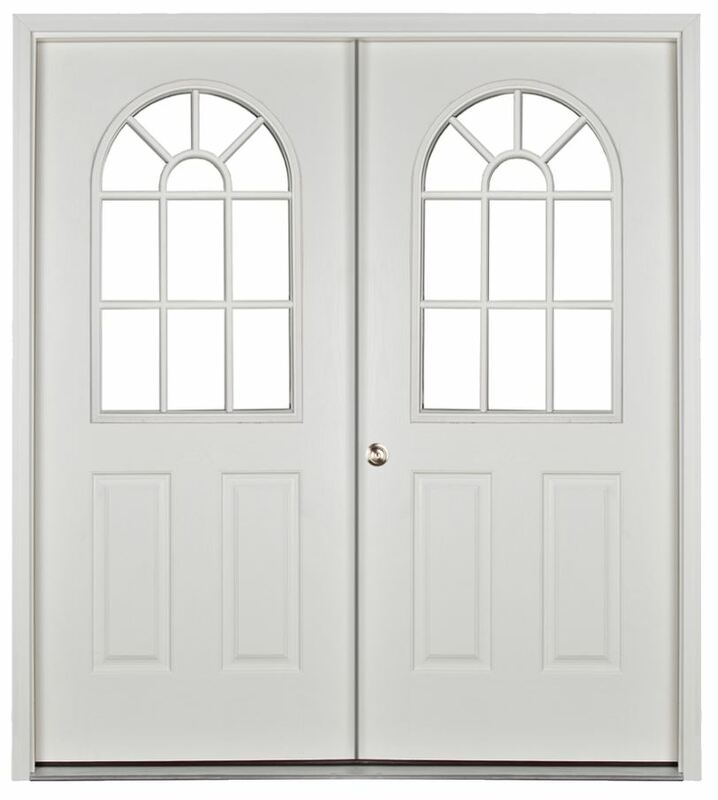 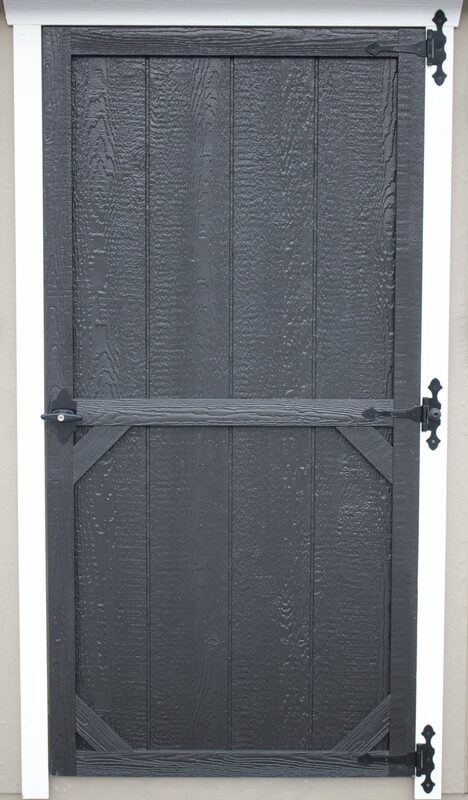 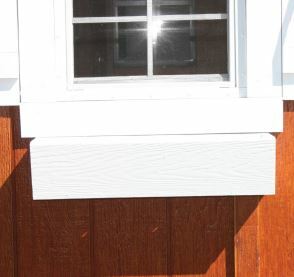 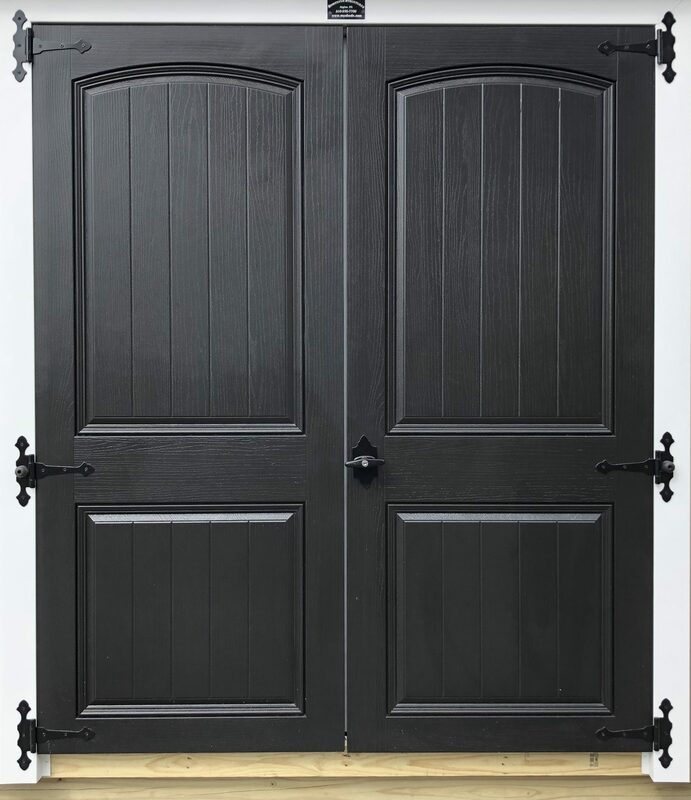 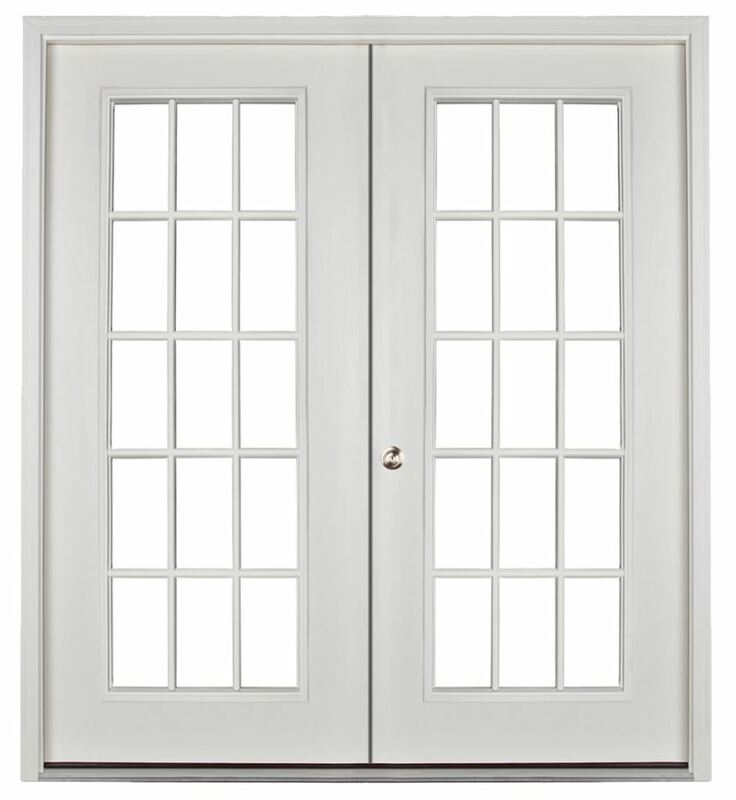 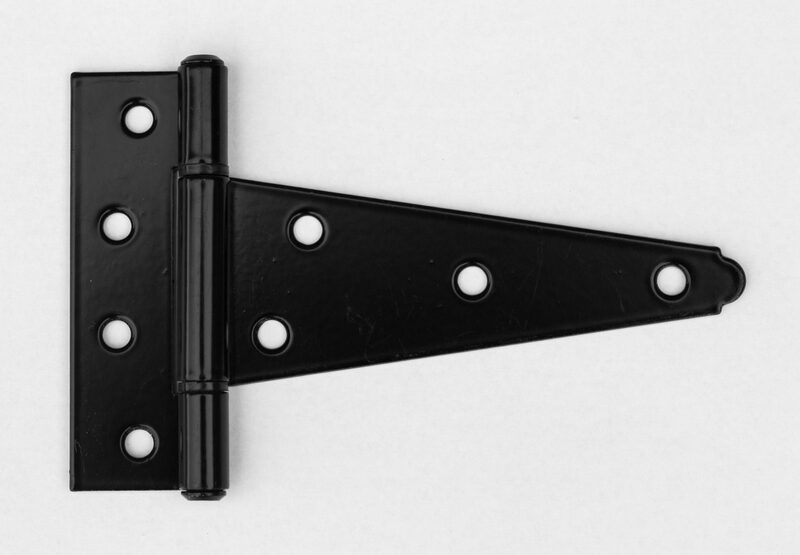 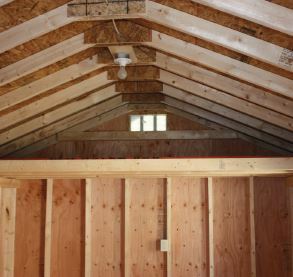 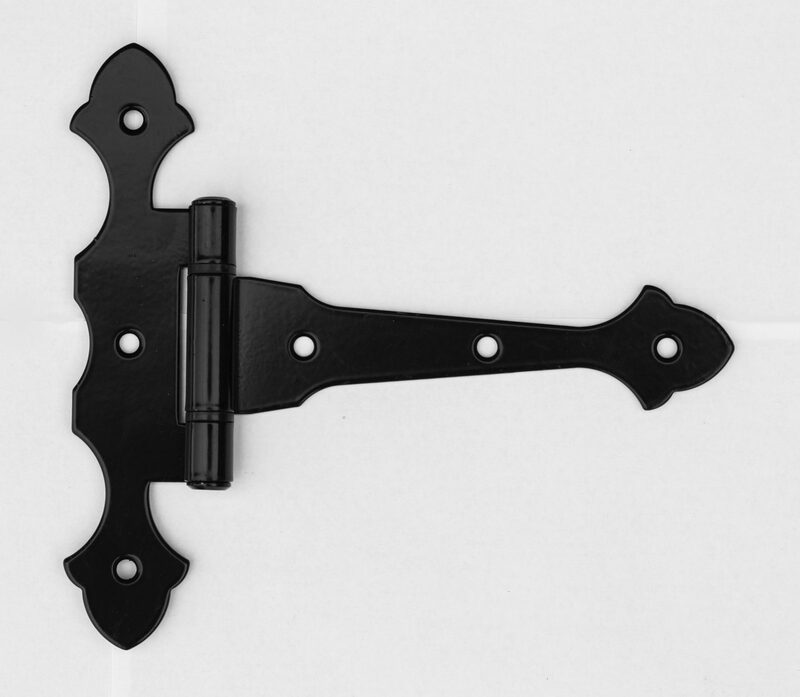 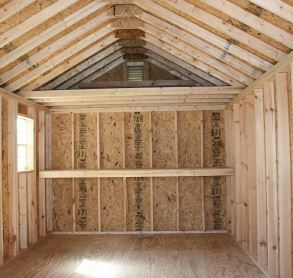 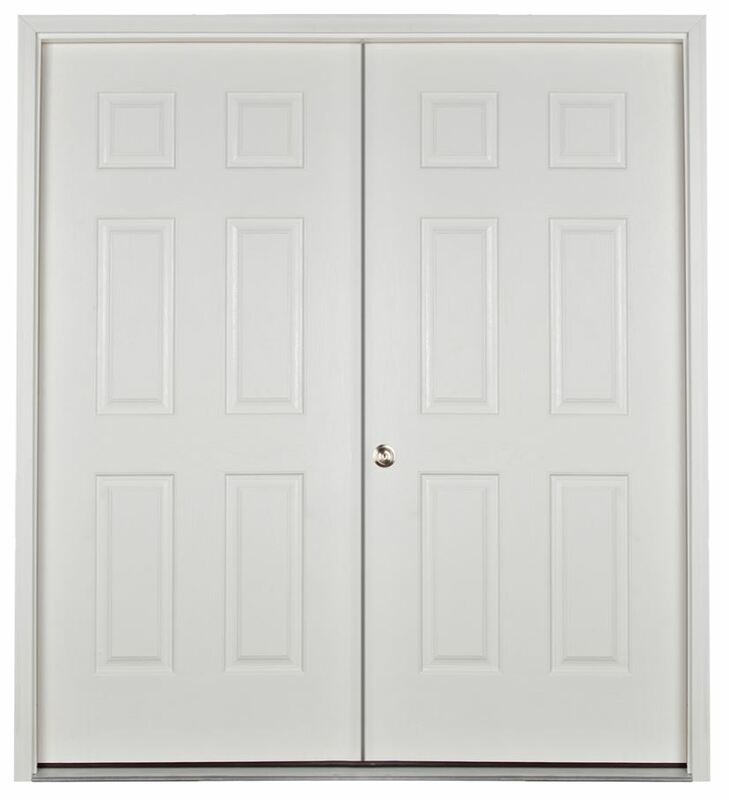 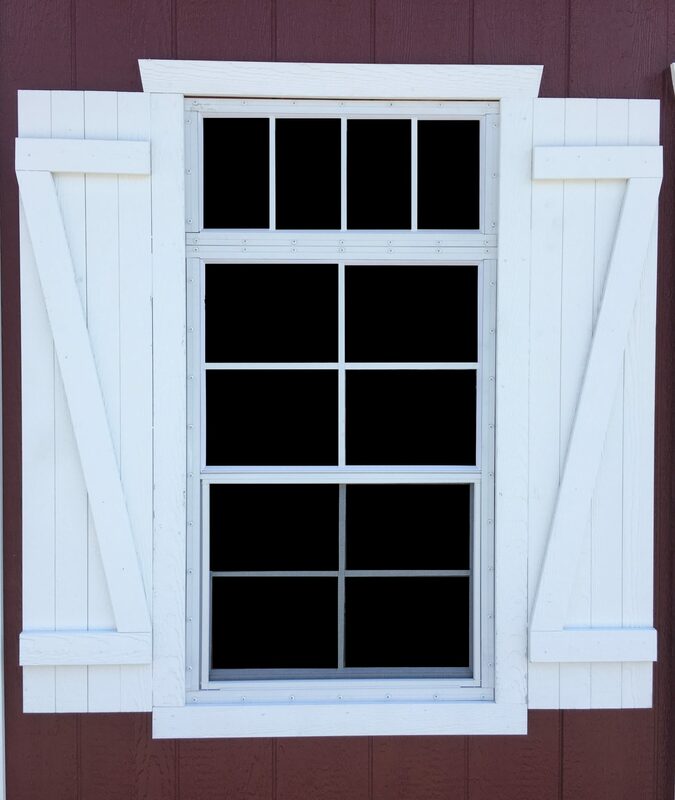 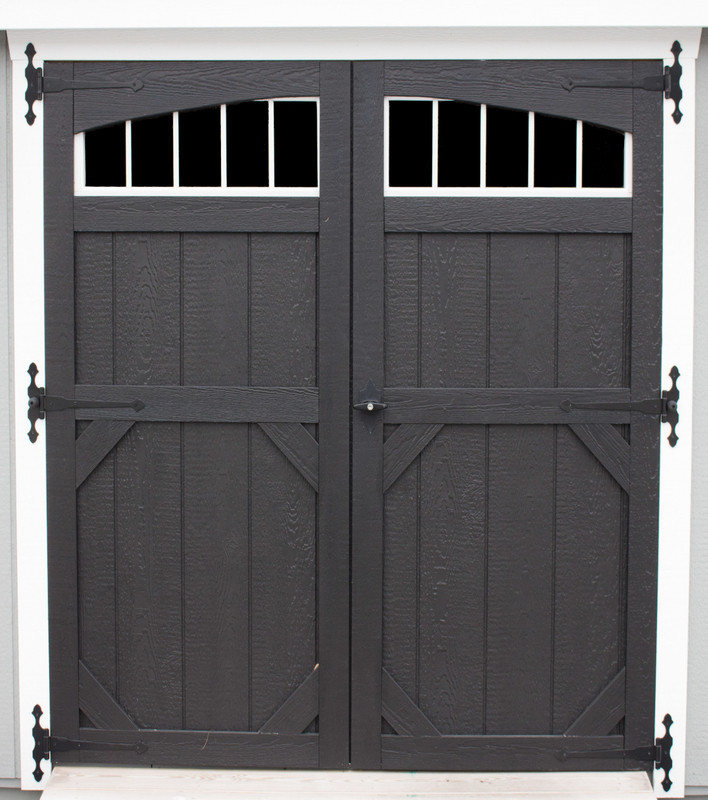 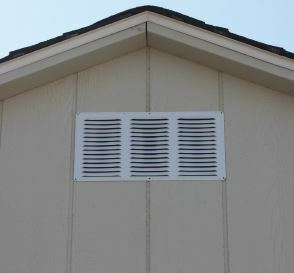 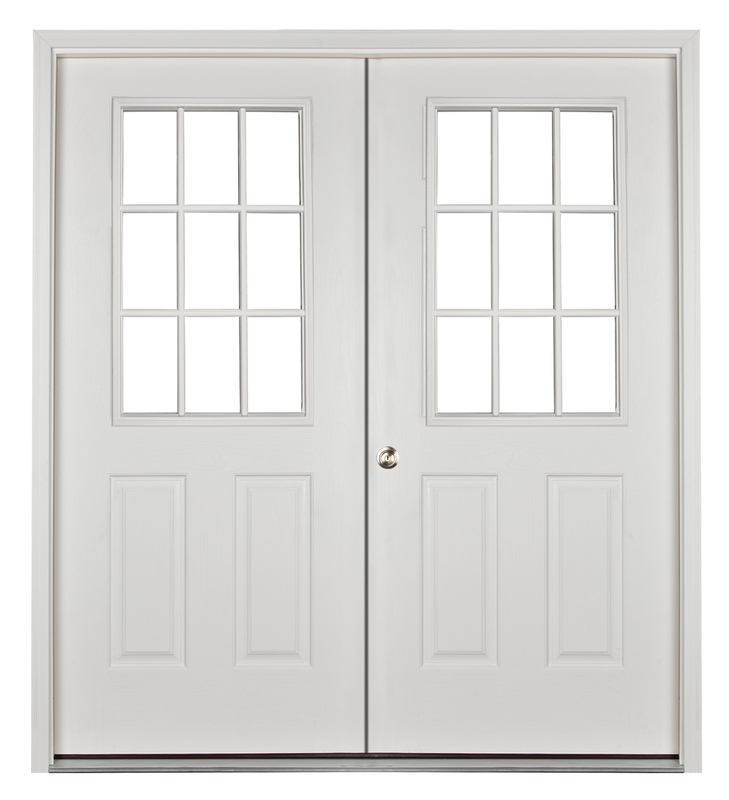 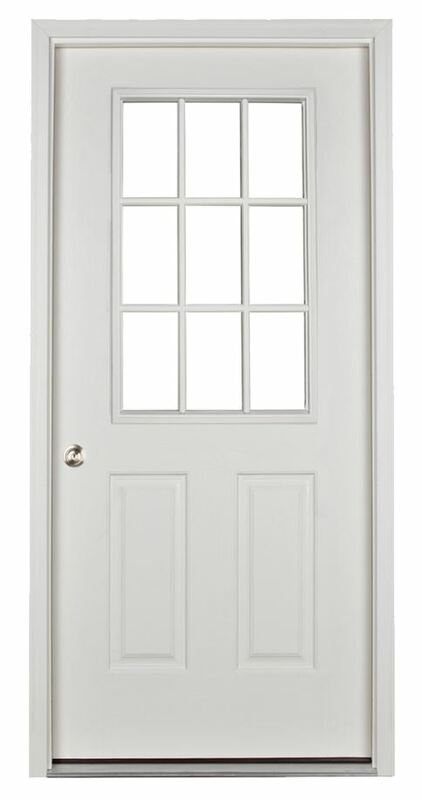 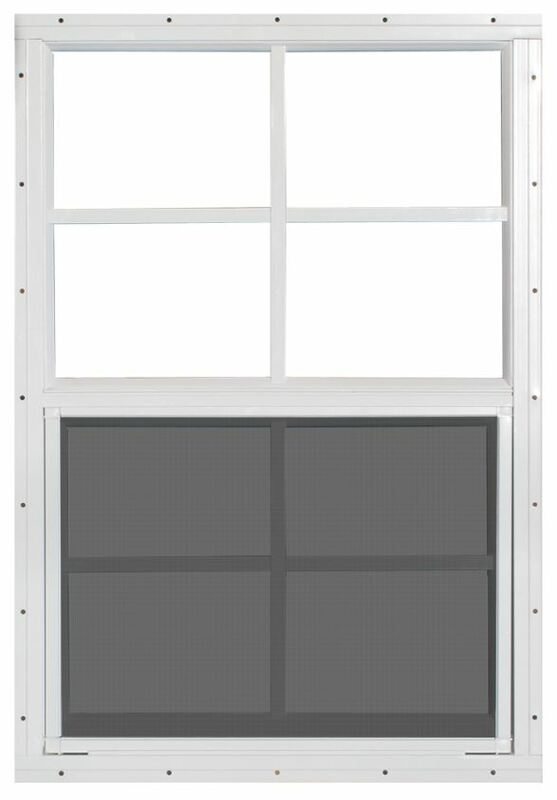 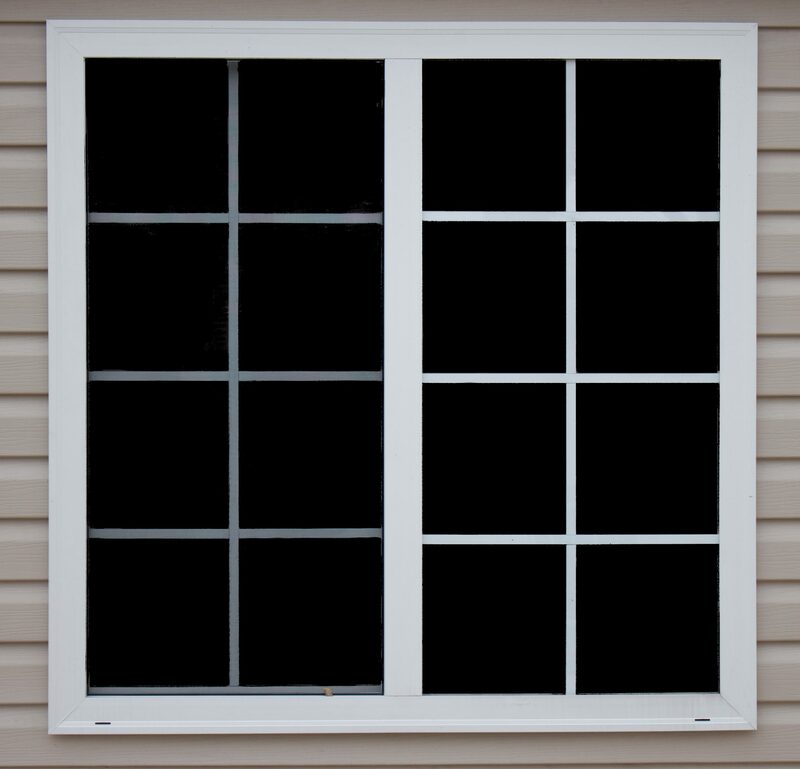 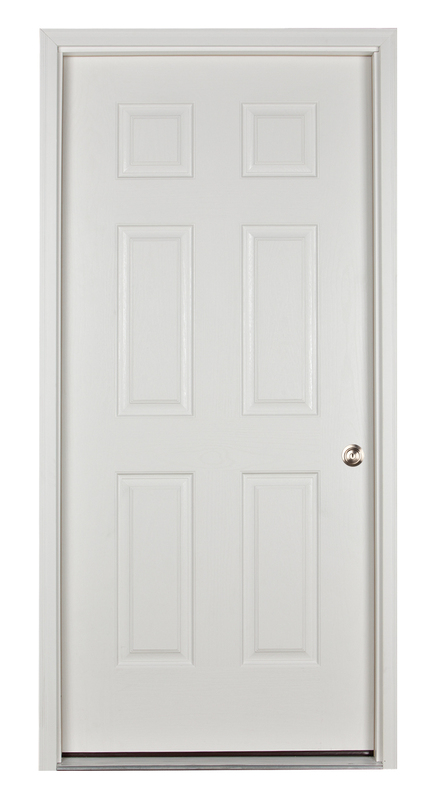 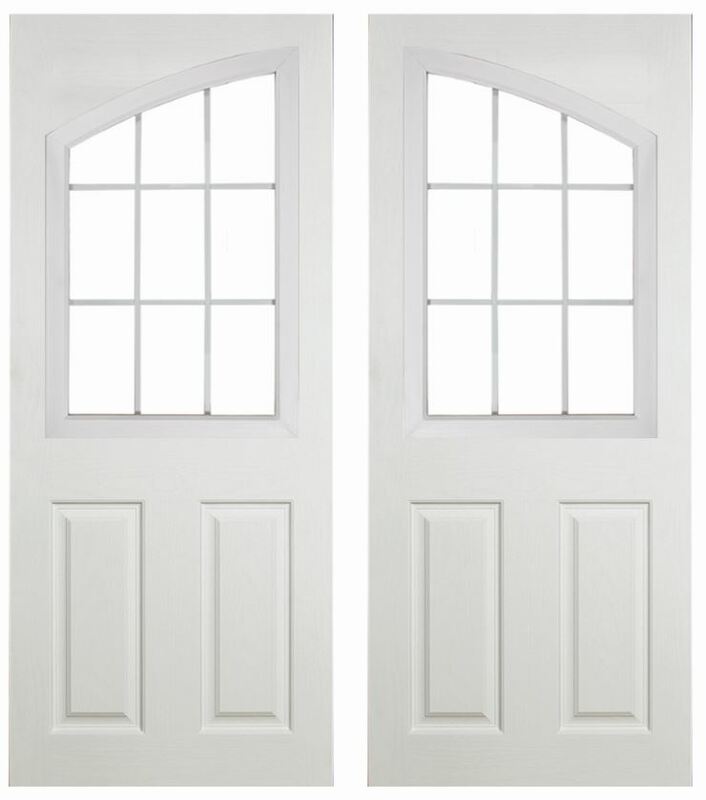 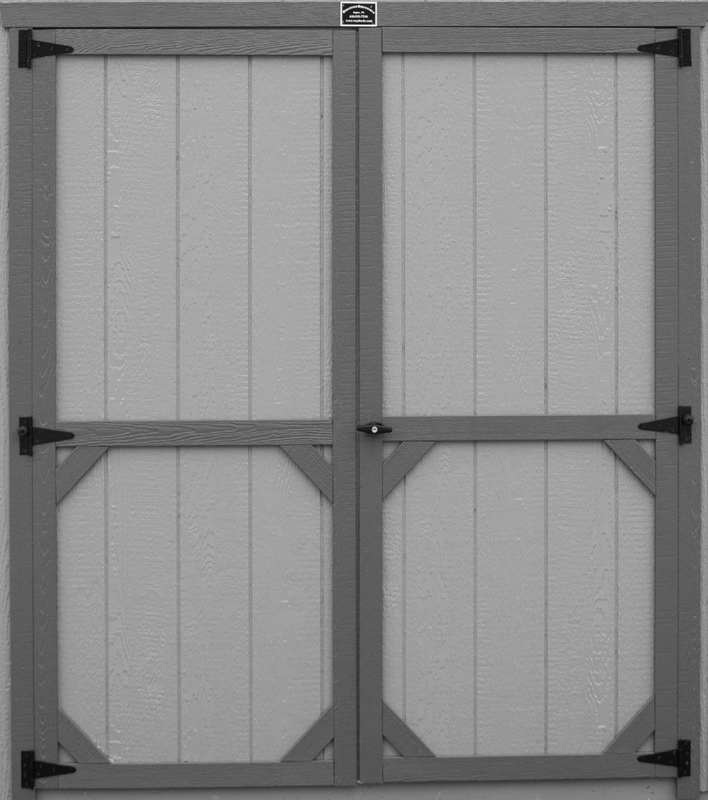 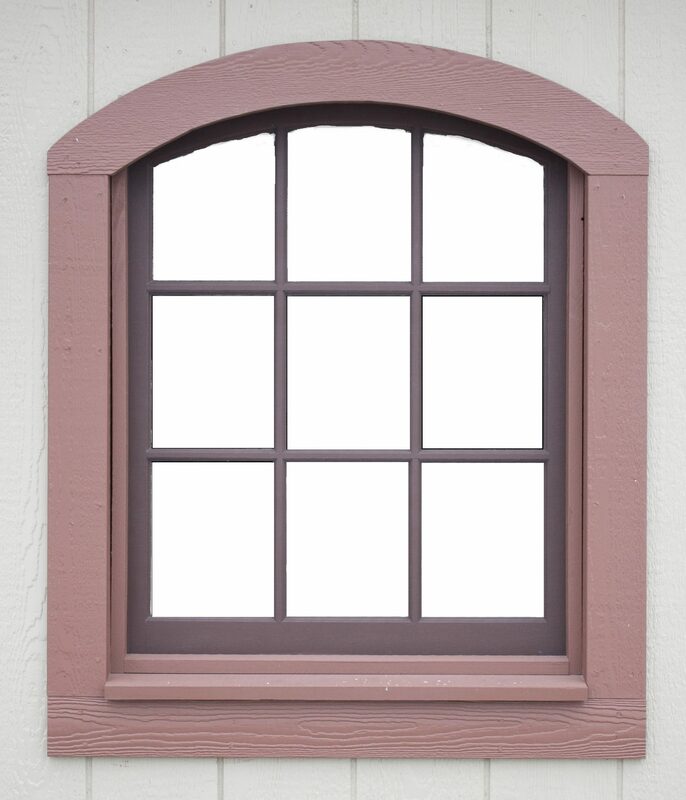 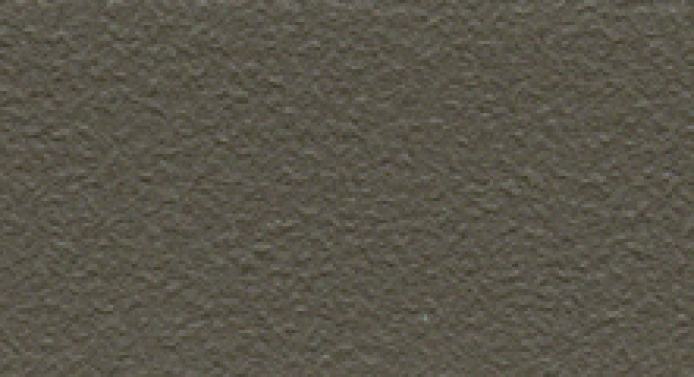 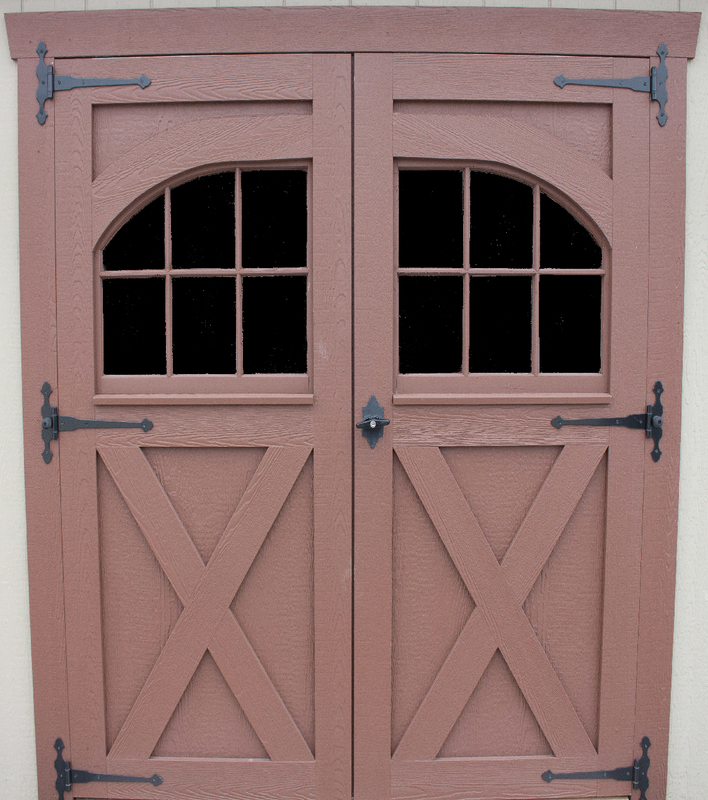 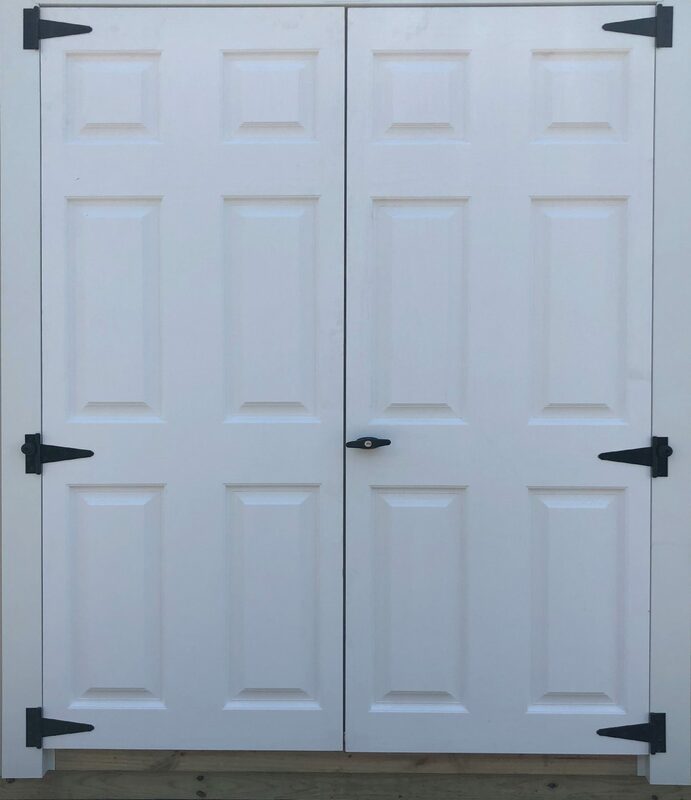 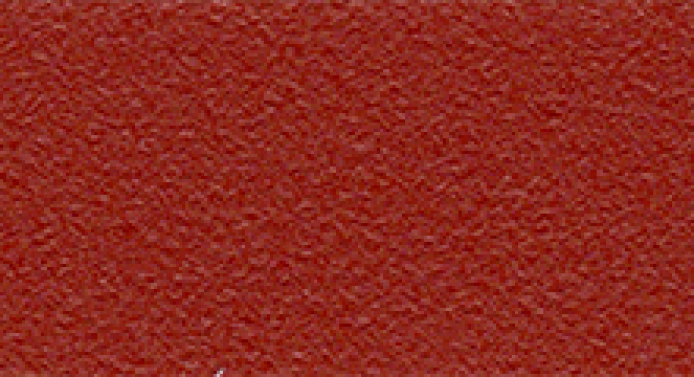 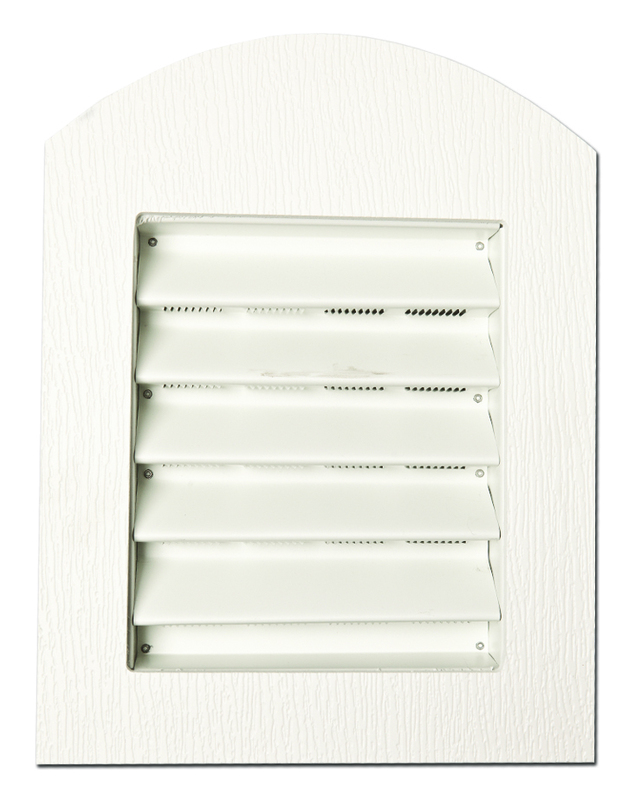 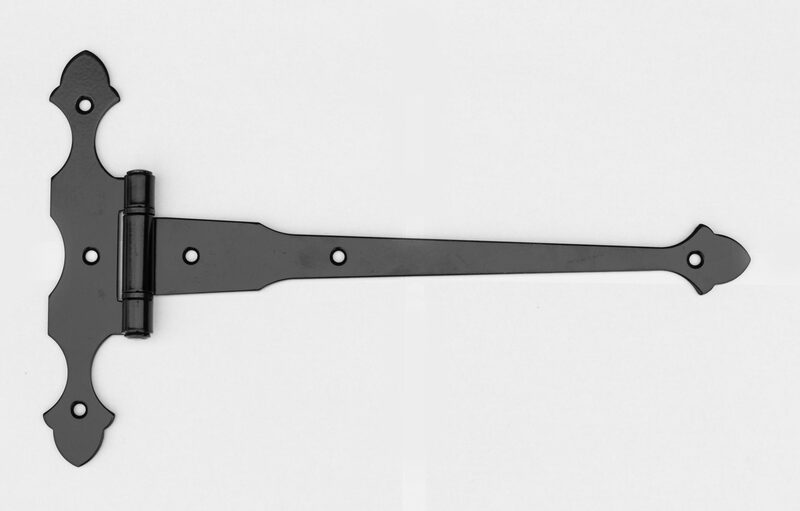 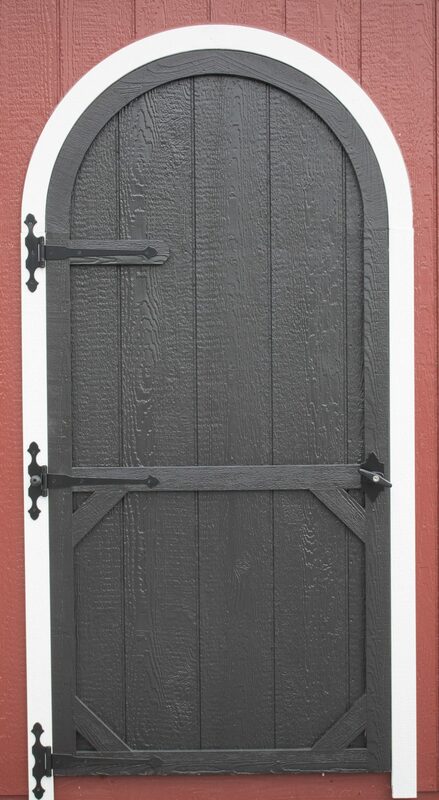 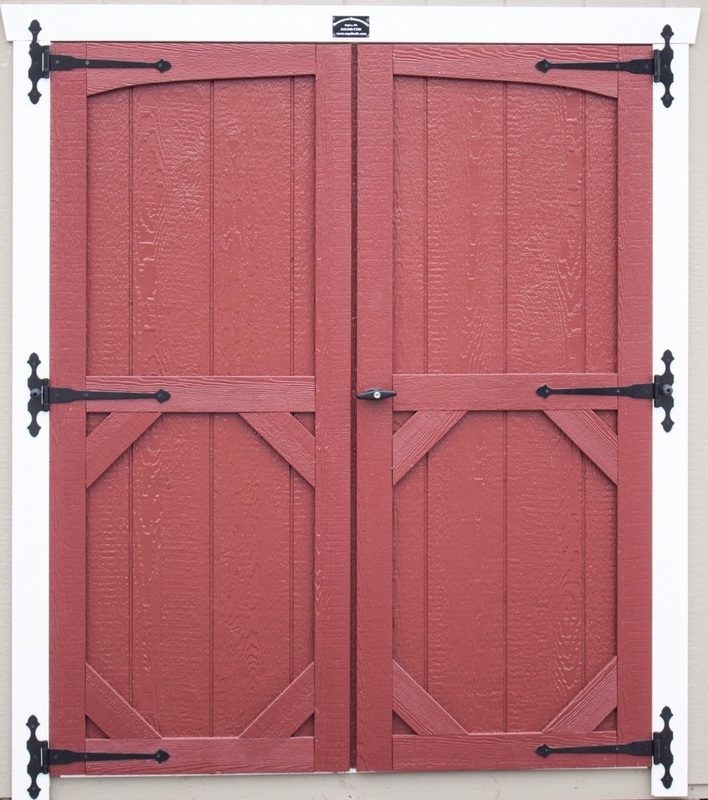 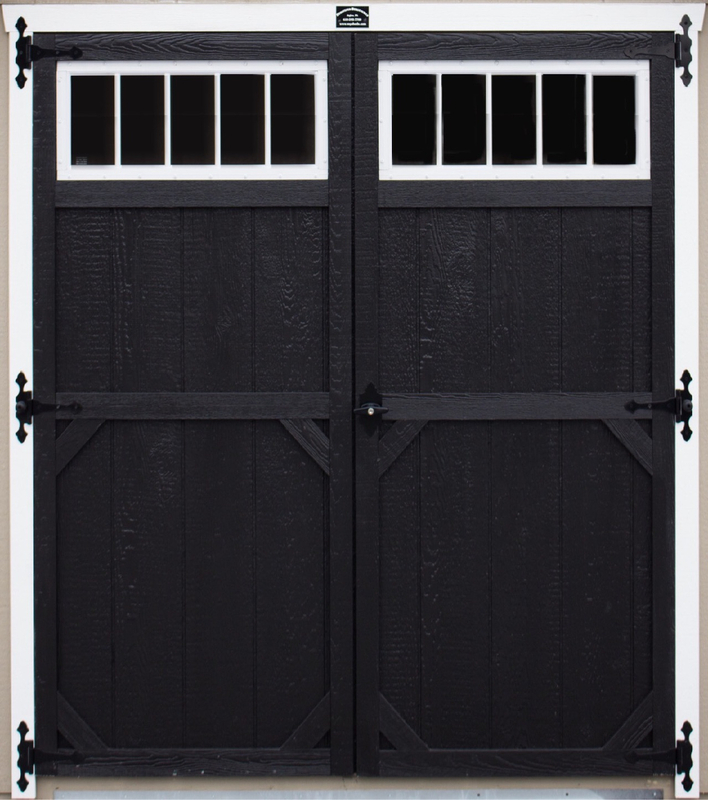 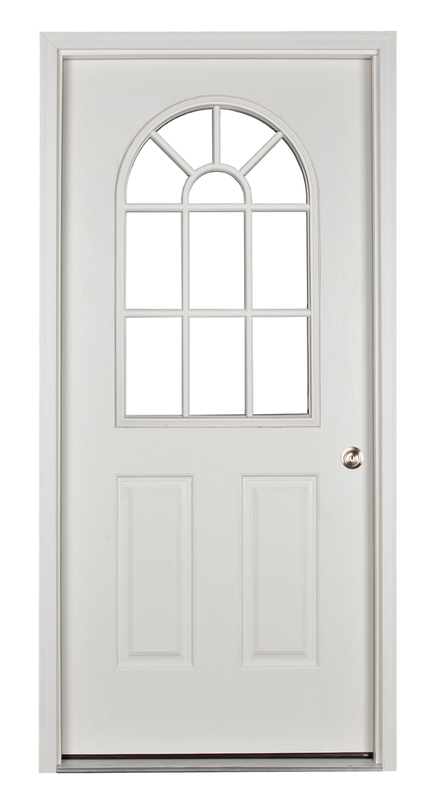 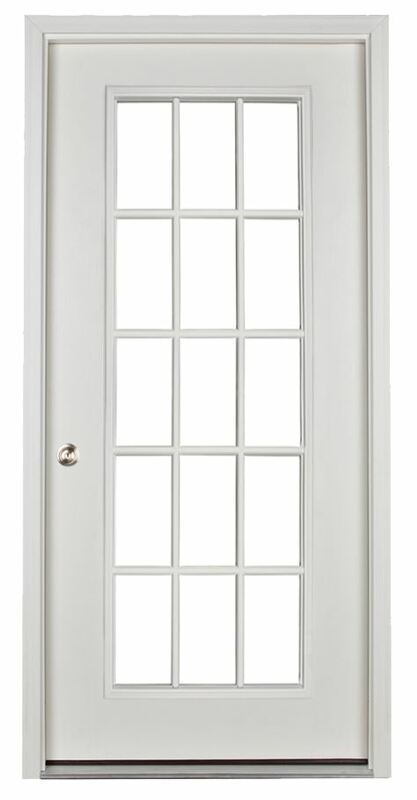 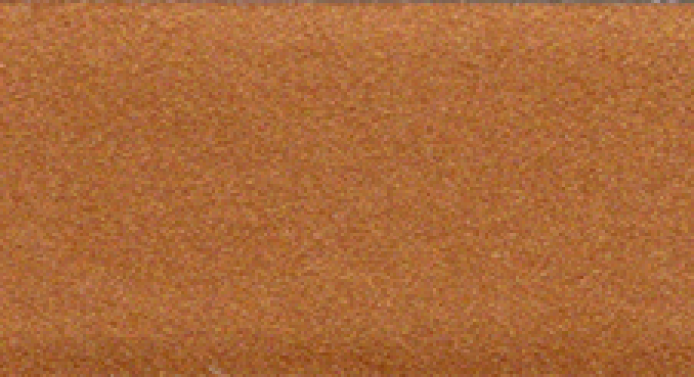 Partitions – To Top Plate $15/ ft.
Partitions – To Ceiling $20/ ft.
Standard Wood Gable Vent $25 ea. 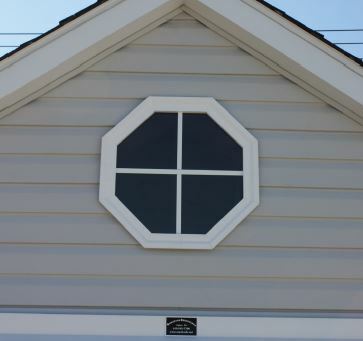 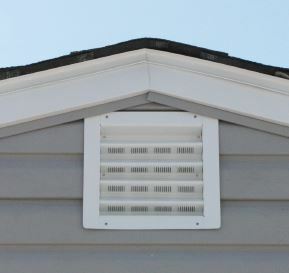 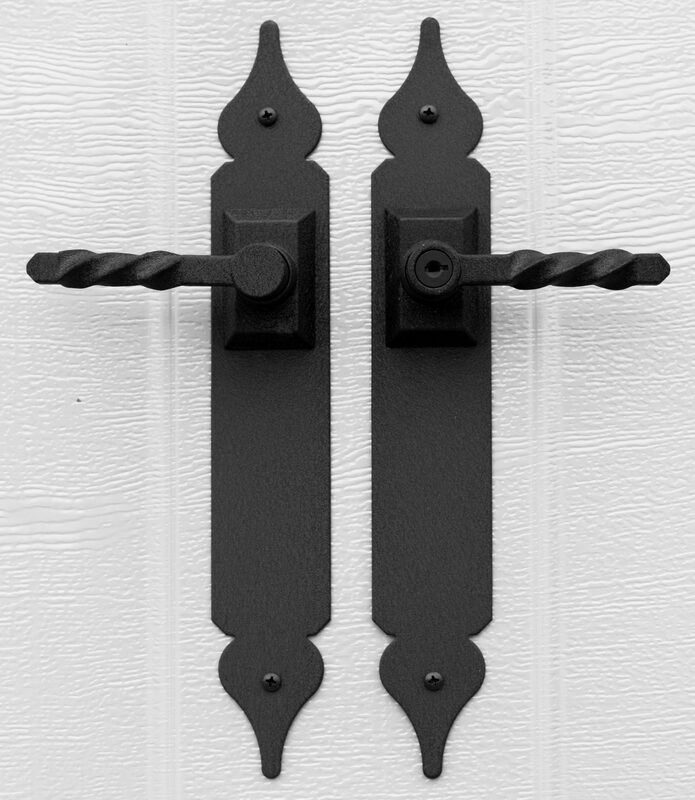 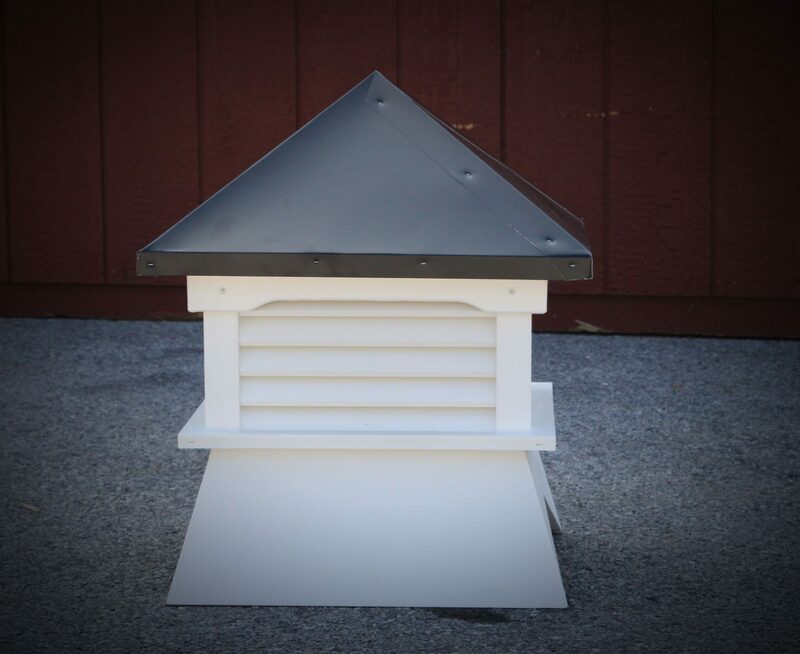 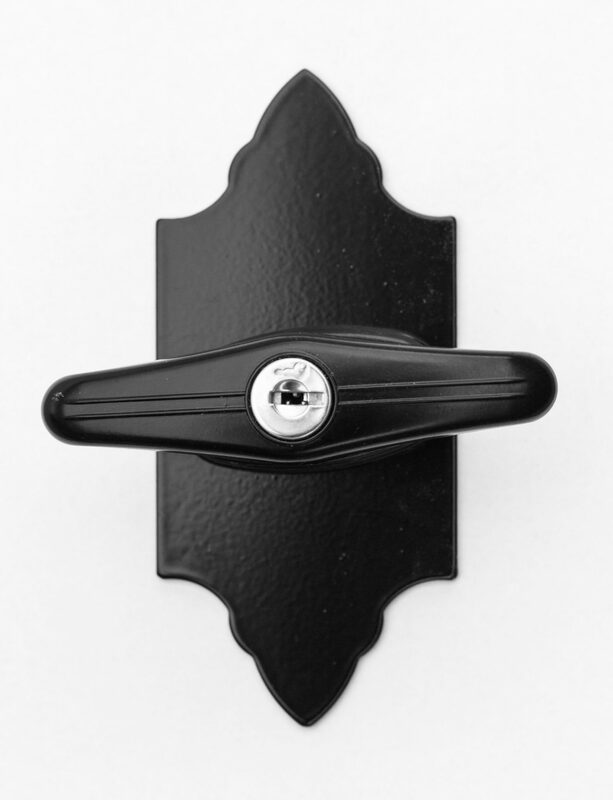 Arch Gable Vents $35 ea.